AN IMPORTANT forum of the world’s leading archaeologists is to debate the controversial M3 motorway route near the hill of Tara in County Meath. In what could be a highly embarrassing development for the Irish Government, the World Archaeological Congress is to hold a public debate on whether a decision to run a motorway through one of the country’s most sensitive archaeological sites was merited. The M3 motorway is expected to be completed in two years. Since the final route was announced, academics worldwide and campaigners in Ireland have criticised the decision. Last week, the World Archaeological Congress identified campaign group TaraWatch as a stakeholder in the Tara/M3 issue and asked for a position statement on the matter to be incorporated into a round-table discussion at the 6th World Archaeological Congress, to be held in University College Dublin, from 29 June to 2 July. The debate will focus on the ethical considerations of the M3 project. Public submissions will also be included in the position statement. Meanwhile, TaraWatch will be making a formal submission to UNESCO to coincide with the 32nd Session of the World Heritage Committee in Canada (from 2 July) and a delegation of experts is to be sent to the event to lobby on behalf of Tara. TaraWatch has issued a call to the public for submissions which will be presented to the Archaeological Congress and the UNESCO meeting. The group says it is vital that all stakeholders in the issue make a written submission before 21 June, 2008. TaraWatch says submissions should address the importance of the Hill of Tara, why it should be a UNESCO World Heritage site, and why the M3 motorway should not be built in the area proposed to be protected by UNESCO. A new web address has been set up for people to enter statements at http://www.savetarapetition.net. 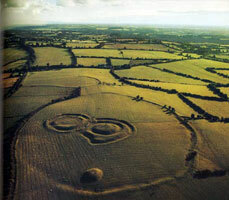 TaraWatch says the process is being launched in response to the recent announcement by Environment Minister John Gormley that he has begun the nomination process for the Hill of Tara to become a UNESCO World Heritage Site but with the controversial M3 route going through the middle of this archaeologically sensitive area. “We are sending a delegation of experts and heritage professionals to the UNESCO meeting in Quebec to make the case for Tara. “It is vital that the public are given an opportunity to state their opinions on this issue and that those opinions are heard by the international bodies that are responsible for world heritage. “Unfortunately, we have been given very short notice and it is vital that the public are aware that this process is occurring, so we have set up a website to make it easy for people.